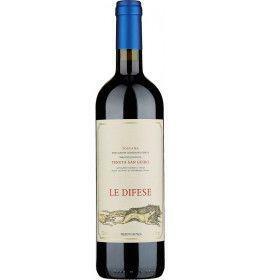 'Le Difese' by Tenuta San Guido is a blend of cabernet sauvignon and sangiovese that has proved to be a great red in the years, sensational for its quality and reliability. Ready-to-drink and good-bodied wine. Balance and freshness make it possible to match any dish. Tenuta San Guido, whose name derives from San Guido della Gherardesca, lived in the 13th century, is a historic wine cellar of the Bolgheri area, located along the Etruscan coast from Livorno to Grosseto, in the Tuscan Maremma. Extending over a total area of ​​about 2500 hectares, the company can now count on ninety hectares of vines, including 75 hectares dedicated exclusively to the production of Sassicaia, the latter born from an idea of ​​the Marchese Mario Incisa della Rocchetta , who wanted Create a great Bordeaux wine. In fact, they were in the 1920s, when the Marchese, inspired by Bordeaux and the aristocracy of the past, dreamed of producing a breed of wine, a real pure blood. Transferring to the Tuscan estate in the second half of the 20th century, the Marchese Incisa della Rocchetta began experimenting, planting some French viticultural barbatelle in a wine-growing area that was far from being vitally unknown. From that moment on, with great foresight, the Marchese Incisa della Rocchetta was able to understand the potential of the Bolgheri area and of the same lands on which it had planted the barbatelle, which had unique characteristics, in the microclimate very similar to the Graves area Of Bordeaux. The first vintage was launched in 1968, and since then the " Sassicaia " has reached an unprecedented fame world-wide, growing year by year. 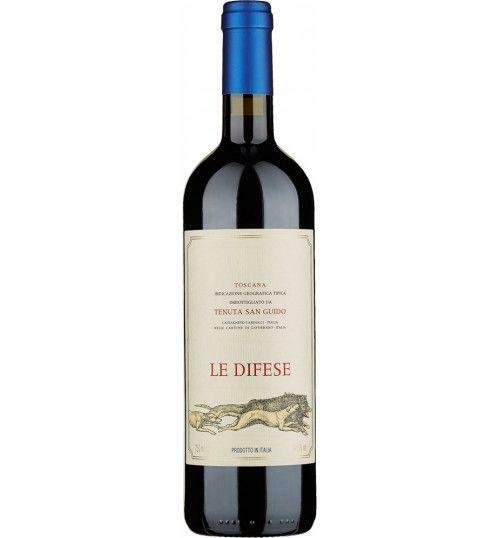 In addition to this famous wine, Tenuta San Guido also produces two other labels: " Guidalberto ", cabernet sauvignon and merlot, and " Le Difese ", a IGT obtained from cabernet and sangiovese. With a production close to an average of 800,000 bottles a year, Tenuta San Guido has to be recognized for much of the merit that the territory of Bolgheri is gaining international success. An almost unreal oenological story and dimension, that of Tenuta San Guido, out of the ordinary and suspended in time, almost mythological. Tasting Color: ruby red. Scent: fruity and floral feel, spicy sensations and slightly balsamic. 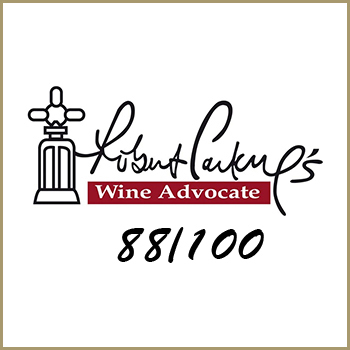 Taste: enveloping and fine, fresh and elegant, beautiful tannery texture, finishing excellent cleansing and persistence. Tenuta San Guido, whose name derives from San Guido della Gherardesca, lived in the 13th century, is a historic wine cellar of the Bolgheri area, located along the Etruscan coast from Livorno to Grosseto, in the Tuscan Maremma. Extending over a total area of ​​about 2500 hectares, the company can now count on ninety hectares of vines, including 75 hectares dedicated exclusively to the production of Sassicaia, the latter born from an idea of ​​the Marchese Mario Incisa della Rocchetta, who wanted Create a great Bordeaux wine. In fact, they were in the 1920s, when the Marchese, inspired by Bordeaux and the aristocracy of the past, dreamed of producing a breed of wine, a real pure blood. Transferring to the Tuscan estate in the second half of the 20th century, the Marchese Incisa della Rocchetta began experimenting, planting some French viticultural barbatelle in a wine-growing area that was far from being vitally unknown. From that moment on, with great foresight, the Marchese Incisa della Rocchetta was able to understand the potential of the Bolgheri area and of the same lands on which it had planted the barbatelle, which had unique characteristics, in the microclimate very similar to the Graves area Of Bordeaux. The first vintage was launched in 1968, and since then the "Sassicaia" has reached an unprecedented fame world-wide, growing year by year. 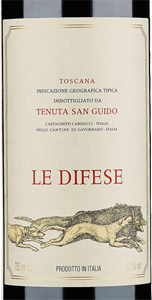 In addition to this famous wine, Tenuta San Guido also produces two other labels: "Guidalberto", cabernet sauvignon and merlot, and "Le Difese", a IGT obtained from cabernet and sangiovese. With a production close to an average of 800,000 bottles a year, Tenuta San Guido has to be recognized for much of the merit that the territory of Bolgheri is gaining international success. An almost unreal oenological story and dimension, that of Tenuta San Guido, out of the ordinary and suspended in time, almost mythological.